TULSA, Okla. — Nate Oats didn’t need to outsmart Bobby Hurley, the person who gave him his shot as a college basketball coach, then made him his top choice as his successor. The University at Buffalo men’s basketball coach needed to utilize a quick yet comprehensive study of the opponent. Then, the sixth-seeded Bulls steadily dissected the 11th-seeded Sun Devils for a 91-74 victory in the first round of the NCAA Tournament on Friday at the BOK Center. Oats was even hesitant to label what he did as “outsmarting” Hurley. Dontay Caruthers, UB's defensive specialist, looked at it from a player's point of view. "I don't think he really outsmarted him," Caruthers said. "Oats really focused on the stuff that we do. We always say that if we take care of the stuff that we do, on our side of the ball, it's hard for a team to beat us. "Oats coached with (Hurley) for a very long time as his assistant. But I think it just comes down to the players and how they go out and deliver." By emphasizing its own strengths, UB (32-3) focused its guard-dominant offense inside the perimeter and shot 64 percent (21 for 33) inside the arc. The Bulls shut down Arizona State’s 3-point shooting, which entered at 34.2 percent. And in the first 10 minutes of the game, the Bulls forced turnovers and built their offense off transition, utilizing a 14-2 run to take a 24-16 lead, en route to a 25-2 run and a 44-31 lead at halftime. 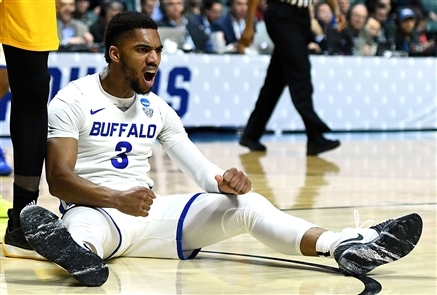 Now, what UB is, is a program that has won first-round NCAA Tournament games in consecutive years and faces third-seeded Texas Tech on Sunday in the second round. Leading up to the game against his former boss, Oats also gathered some outside reconnaissance on what a team in his situation should do. He said after the win against the Sun Devils (23-11) that he reached out to coaches whose teams had been either No. 6 seeds or 11 seeds in the NCAA Tournament — coaches from Cincinnati and Florida, in particular — and asked them for some advice. Two of the four No. 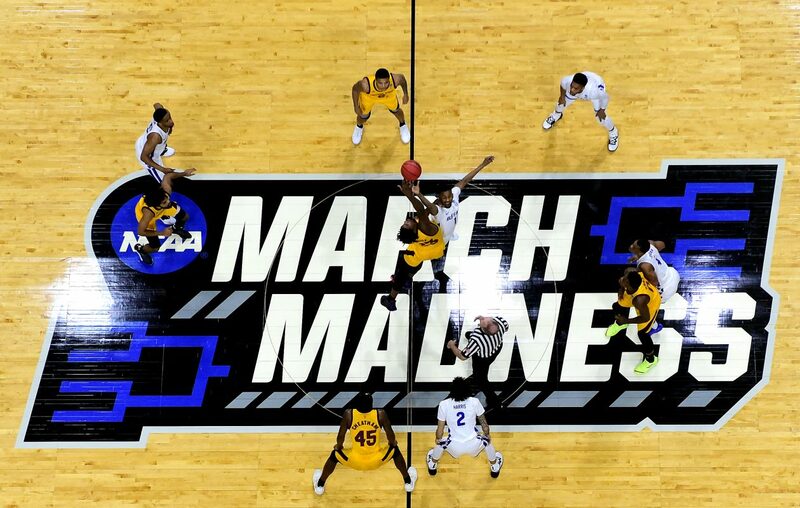 11 seeds each year end up playing only days after having won First Four games to advance. The Bulls negated Arizona State’s already-hampered perimeter game as guard Remy Martin has been hobbled by a groin injury he sustained March 15 in a Pac-12 semifinal. The Sun Devils went 3 for 22 on 3-point attempts, including 0 for 9 in the first half. Perkins was one of four players to score in double figures, along with Jeremy Harris (21 points), CJ Massinburg (18) and Jayvon Graves (13). Harris also had 10 rebounds for his fourth double-double of the season. UB had 42 rebounds to Arizona State's 26, including a 13-6 advantage on the offensive end. After UB took a 16-14 lead at 8:29 of the first half — the start of its 14-2 run — the closest the Sun Devils got was within nine points, at 46-37 on Rondello White’s layup 2:07 into the second half. "It was like 14-14 and they hit one, and what we did to teams all year was out-rebound them," Hurley said. "We were one of the best rebounding teams in the country this year. They were quicker to the ball than we were in the first half and their pressure is disruptive, their guards get after you and pressure you, so they take you out of your offense." As for Hurley facing his former hire? Hurley, who coached UB in 2013-2014 and 2014-2015, and led the Bulls to their first NCAA Tournament berth in 2015, wished Oats and the Bulls nothing but the best as they prepare to face Texas Tech (27-6), which defeated 14-seed Northern Kentucky 72-57. After the game, the two coaches shook hands and went their separate ways, into their respective locker rooms. But Hurley snuffed out any further discussion of the Oats versus Hurley narrative in his opening statement on the podium. After the win, Oats remained tempered about the unique matchup. Perkins, however, knew the game carried a little more emotional weight for his coach.